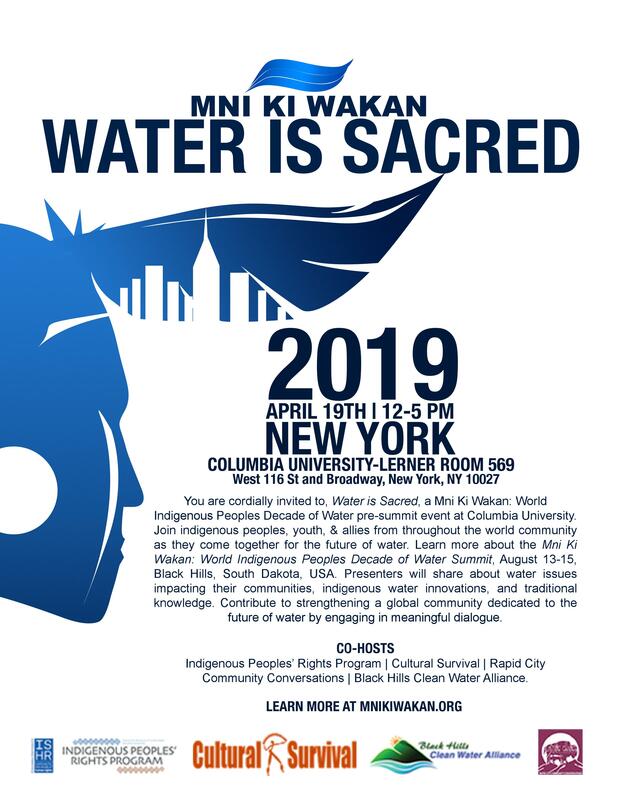 You are cordially invited to, Water is Sacred, a Mni Ki Wakan: World Indigenous Peoples Decade of Water pre-summit event at Columbia University. Join indigenous peoples, youth, & allies from throughout the world community as they come together for the future of water. Learn more about the Mni Ki Wakan: World Indigenous Peoples Decade of Water Summit, August 13-15, Black Hills, South Dakota, USA. Presenters will share about water issues impacting their communities, indigenous water innovations, and traditional knowledge. Contribute to strengthening a global community dedicated to the future of water by engaging in a meaningful dialogue.